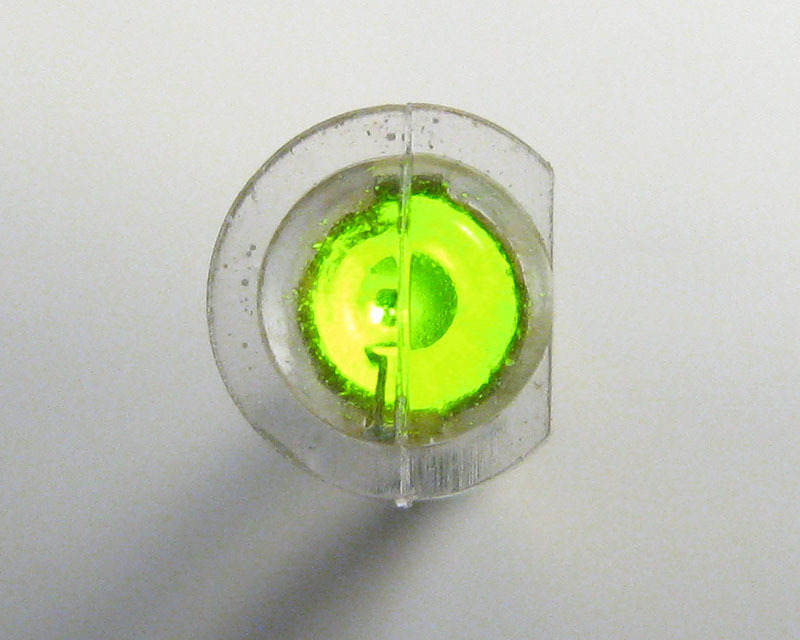 This green LED was used in telephone handsets and other equipment manufactured by Western Electric in the 1970s. Unlike the LED used in Trimline telephone keypads, this is a single-die DC-driven device. The construction style appears similar to that of the Western Electric 530A, but in a much smaller package. Like many Western Electric components, this LED is a robust device with large square wire wrap pins. This type of LED was also available with a red emitter. Western Electric GaP green LED indicator. 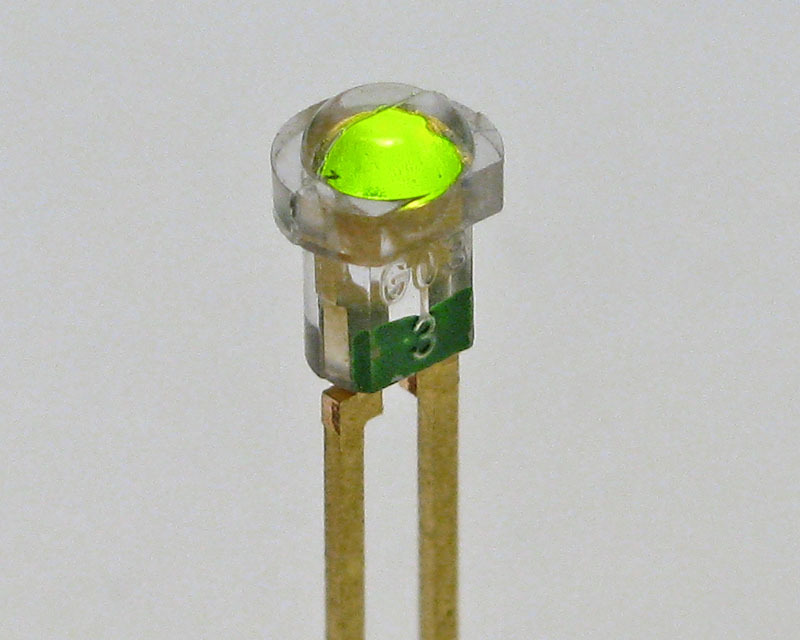 Western Electric green LED, top view.